William Beane was born in Beccles in 1831, the son of John Beane and Lydia Lester. In 1841 John and Lydia and their seven children resided at Jones's Score in Beccles. Their neighbours were my four times great-grandmother Mary Ann Waters, and my three times great-grandfather George Waters. The Beane family lived at Jones's Score even after John Beane died in 1847, aged 51 but some time before 1861, Lydia and her son William and daughter Lydia moved to Swine's Green (William's brother Thomas Beane remained at Jones's Score until his death in 1889. He was also a Chimney Sweep). The following census sees William and his mother Lydia living in London Road. His sister Lydia married in 1874 and his mother died in 1879 at the age of 86. By 1891, William was living in Newgate Street in a shed belonging to William Thorpe. William was never married. William 'Billy' Beane was a Chimney Sweep, employed to clear soot and ash from chimneys, the trade learned from his father John Beane who was also a Sweep. It is more than likely that William started out by going with his father on jobs around Beccles, as his "climbing boy". These were apprentices of the master sweep, who were small enough to be able to climb inside the chimney flue. Sometimes master sweeps employed paupers or orphans from the workhouse. Once a boy's seven-year apprenticeship was completed, he could work as a journeyman sweep, continuing to work for a master sweep of his choice. A master sweep could have more than one apprentice. They would start the morning by walking through the streets of the town, calling out such cries as, "Soot - Oh Sweep" to let house-owners know that they were around. Once engaged in a job the climbing boys would crawl caterpillar-like up through the flue of the chimney and use a brush to dislodge the loose soot and scrape away any solid bits. The soot would then be collected and bagged up to be carried back to the master sweep's cart or nearby yard. Soot was a valuable commodity in Victorian times, sometimes fetching as much as 9 pence for a bushel. Sweep's cleared around four to five chimneys per day. At least once a week the boys were bathed in a tub by the mistress of the sweep's yard, so this would have been done by Lydia Beane. A sweep's life was brutally hard. The constant exposure to thick black dust and soot and the hot flues, caused burns, bruises and calloused skin, eye inflammation and the very real possibility of falling, contracting cancer or respiratory disease. They usually slept rough, ate little and could easily develop spinal problems resulting in deformity or stunted growth. 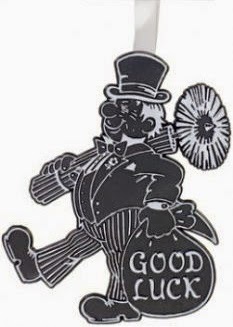 In 1875 a new Chimney Sweepers Act superseded the Chimney Sweepers and Chimneys Regulation Act of 1840. 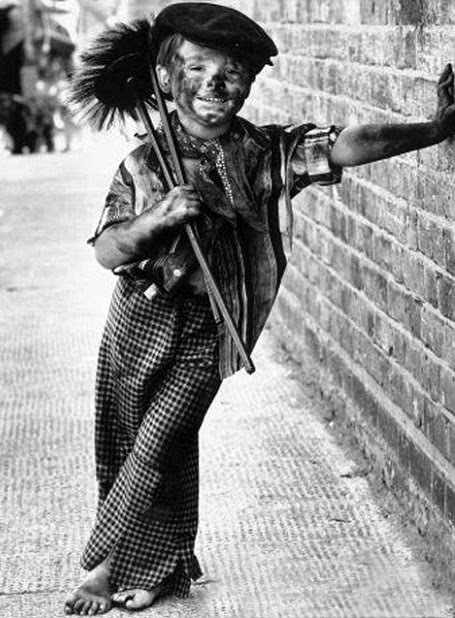 The 1875 Act ensured that all chimney sweeps had to be registered with the police therefore the boys work was officially supervised. In May 1864 William Beane was sentenced to two months imprisonment with hard labour for assaulting a Police Constable. Two years later, William was charged with wilfully damaging property of the Victoria Arms. He was turned out by the landlord after becomning verbally abusive and he then struck a window with his fist and kicked it. Beane was fined 9 shillings and 6 pence, and 4 shillings and 6 pence damages. An interesting marriage union came about in 1874 after an appearance in court by William Flowers who was assaulted by Lydia Beane's (William's sister) former "love interest", Jim Crowe. Flowers, aged 84, had usurped Crowe by winning Lydia's affections after Crowe had left Beccles for some time and was not happy to hear the news upon returning to the town. Jim Crowe was fined 18 shillings and 6 pence or 14 days imprisonment. To put the younger generation in the shade, William Flowers won Lydia Beane's heart, a woman half his age, and they were married that same year. A celebration which was well renowned in Beccles at that time. However, the romance quickly turned sour when in January 1875 William Flowers attempted suicide by hanging. His brother-in-law, Billy Beane, found him in the shed (at Flowers' home in Ravensmere) and cut him down. Subsequently William Flowers cut his own throat and was sent to Shipmeadow Workhouse where he later died. In September 1874, William Beane was imprisoned for six weeks with hard labour after unlawfully assaulting Robert Goldsmith. Beane was living in a house belonging to Goldsmith but he had refused to pay the rent on several occasions. There were several minor "barneys" between Goldsmith and Beane until the situation escalated where a court appearance and charges were made. In September 1880 William was given twenty-eight days hard labour for being drunk and abusive towards Margaret Girling, the landlady of the Butchers' Arms. She would not serve him out of hours and when Girling's husband pushed him out of the door, he broke several windows. William 'Billy' Beane died in 1897. His death record claims he was 70 years old but he was more likely to have been 66. A romantic footnote to this story is that in Great Britain it is considered lucky for a bride to see a chimney sweep on her wedding day. A family friend from the UK sent me a sweep keepsake on a wrist band (like the one seen below) when I got married. Some modern-day brides even hire a chimney sweep to attend their wedding!